I've always lamented the absence of good horse games like the small handful I played as a child. I've grown up as a player, but the horse game / stable management genre seems to have stagnated for years. 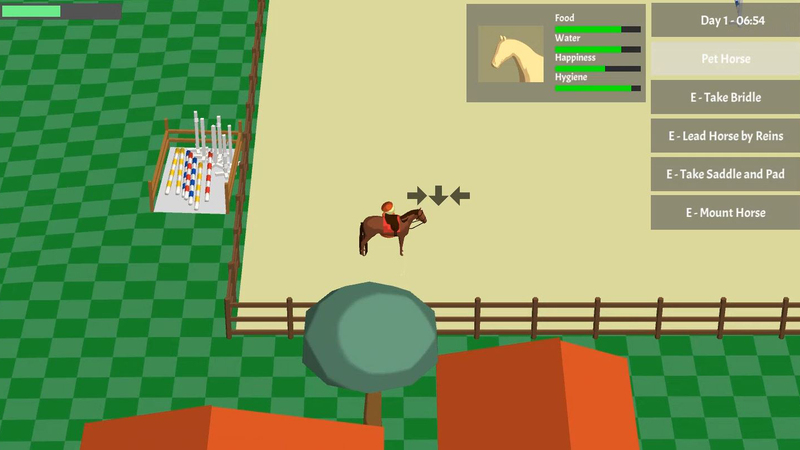 I've finally decided to take matters into my own hands and started working on my own game about horses. 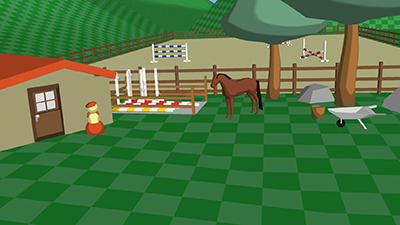 The horsegame (working title) is intended to be a cute, cozy and wholesome game without combat of any kind. 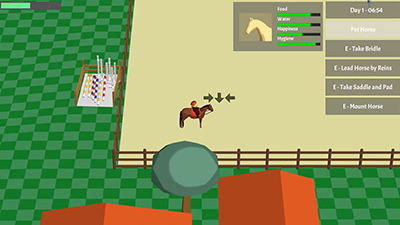 Caring for and riding horses and earning money to expand the stables are intended to be the core pillars of the gameplay. My two main inspirations are 2016 farming game Stardew Valley (and by extension, the Harvest Moon series) and a 2003 PC Edutainment game called Pferd & Pony: Mein Pferdehof. Due to other duties and priorities, my development time is restricted to roughly half an hour in the mornings before work. As a result, my progress is very slow, but steady. My goal is to create a functional (though likely not very pretty) prototype on my own. If the prototype generates interest and I can evantually make it a priority, my long term goals are raising funds and putting together a team of 2-4 people to complete the project for commercial release.